Tai Chi for Health Institute and the Tai Chi for Health programs have been widely supported by many organistions including Arthritis Foundation around the world. The Center of Disease Control and Prevention (www.CDC.gov), recommends and promote The Tai Chi for Arthritis (or Tai Chi for Arthritis and Fall Prevention) program by Dr Lam for fall prevention. The Administration on Aging (www.AoA.gov) a USA federal governmental body has rated Tai Chi for Arthritis as the highest evidence based program for older adult for health and wellness. The Tai Chi for Health Institute is approved as a provider of continuing education by the Kansas State Board of Nursing. The course offering is approved for up to 14 contact hours applicable to RN, LPN, or LMHT relicensure. KS State Board of Nursing Provider Number (SP1359-0117). Only available for Dr Lam’s workshops and not available for updates. An additional $50 fee applies for the CEC certificate. Provides Continuing Education Credits (CEC’s) for registered nurses who attend Tai Chi for Health Workshops and Tai Chi for Health related conferences. 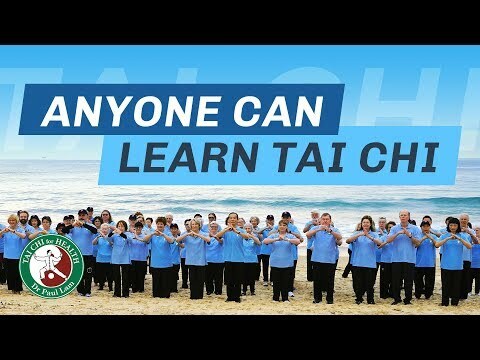 Arthritis Foundation of New South Wales, Victoria, South Australia, Tasmania, Queensland, Western Australia and Northern Territory support the teaching and training of the Tai Chi for Arthritis program. The ACC has colaborated with the Tai Chi for Health Institute to teach and train the Tai Chi for Arthritis program for falls prevention. From 2003 to 2010 ACC has worked with Tai Chi for Health Institute to deliver modified Tai Chi for Arthritis to over 35,000 people and trained over 700 instructors. How to Learn a Tai Chi for Health Program?